What goes hand in hand with an Aussie Summer? Succulent and juicy prawns of course! 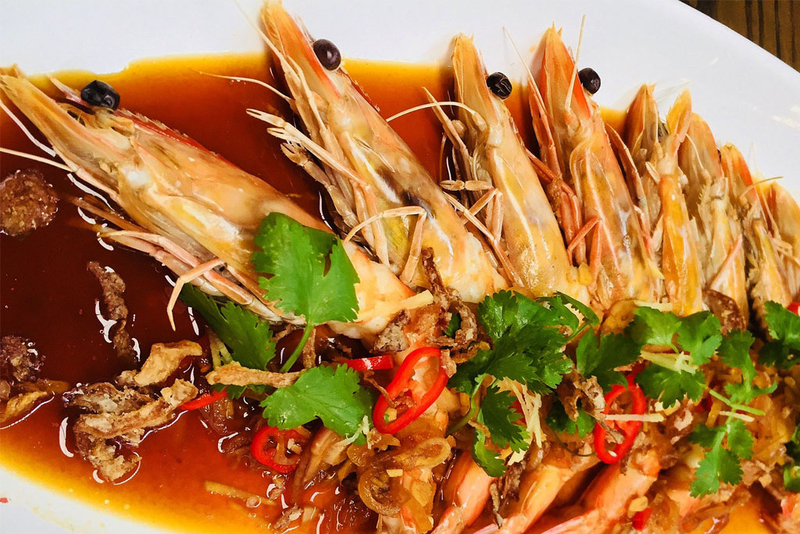 Our Executive Chef, John McLeay, has been good to us and let us know a secret recipe for the perfect prawn dish with that special Red Spice twist. Line a tray with baking paper and place the prawns on the tray. Pour over the oil and sprinkle on the salt and pepper. Place the prawns into the oven, pre-heated to 180. Cook the prawns for around 5 minutes, or until cooked through. For the sauce, place all the ingredients into a fry pan or a small saucepan. Bring to the boil then turn down to a simmer. Allow to simmer for 2 minutes. To plate, place the prawns on to a platter, spoon over the sauce and garnish with the chilli, crispy shallots and coriander. It’s that easy!